Jazz classes are for people of both genders and for all ages. Developed by north americans from african dances, the dance style “Jazz” appeared for the first time in 1917. During the 20’s, it was incorporated by show-business and gradually evolving, turning into a technique with its own style of codes. Hanya Holm studied the syncopated rhythm of the black american and found in jazz the inspiration for the research of its movements, thereby creating, the Jazz style. 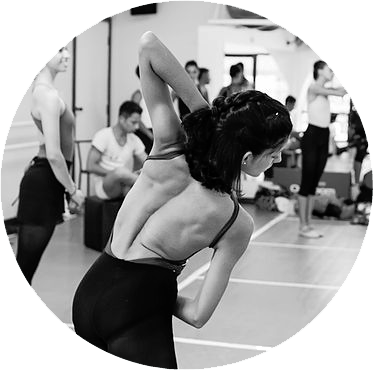 The Modern Jazz class is filled with choreographed movements based on free creation, using classic ballet principles, through the modern ballet. It is an actual dance style, deeply connected to the comercial expansion of Dance Music. At jazz classes, students work out hard – stretching, muscle strengh, coordination, musicality, posture and lots of fun.